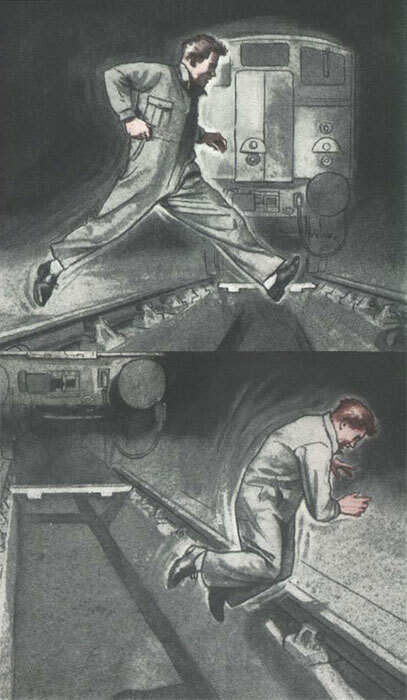 Why risk a nasty fall when it's almost as quick to walk across the pit-plank or around the pit! "Do not jump over a pit. You can all too easily sprain an ankle or a wrist or break a rib. Always walk round pits, or use a pit-plank"